Carey Casey tells a story about Mike's father figure. He encourages you to be a "pop" in the life of young people who need you. My dad had a profound impact on me, and I talk about that a lot. But earlier this year I heard some things that made me appreciate him even more. I was talking with my older sister, and she mentioned that she had run into an acquaintance we both knew in high school. I’ll call him “Mike.” Mike is about my age, and we grew up in the same town, but his family was much different from ours. His father went to prison for a violent crime, and he was raised by his aunt and uncle. When my sister saw him recently, he surprised her by saying how much he appreciated our dad! I had never even noticed, but my pop was schooling this other boy just like he was schooling me! He never made a big deal about it. Dad was just being himself, doing what he thought was right. And since I got plenty of good words from Dad myself, there was no reason for me to be jealous or wonder what was going on. But here’s Mike, raised in a tough situation with the odds stacked against him in many ways, and today you would never know. He’s doing very well; he’s truly an overcomer. And he credits my dad for making at least a small difference in his outlook on life. Today I talk about Championship Fathering and the idea that along with loving, coaching, and modeling for our own children, we need to reach out and encourage other kids who need our fatherly influence. I didn’t realize how much my own dad was doing that all along: He was shaping me every day and I know I didn’t fully appreciate it at the time. Plus, all the while he had his eyes open for other young people who needed to be encouraged or challenged or simply noticed. Honestly, my pop wasn’t super intelligent or accomplished. He was in many ways a very simple man, but he followed through on what he knew he needed to do for the young people around him. Can’t we do the same for the young people around us? Maybe the new school year will give you more opportunities to interact with your children’s friends and classmates. Maybe it will be a neighbor boy or someone in your church. You know that you make a difference to your own kids. That same “father power” can be a positive force for other kids as well. There’s a very good chance that a “Mike” out there would benefit from your influence. I hope you will reach out in some way as you have the opportunity … or as you make the opportunity. Now, I know many of us have been influenced by mentors and father figures. What can you share? 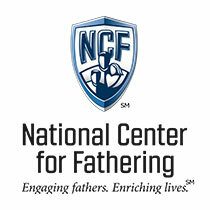 How has a father figure been important in your life? • Find a place to plug in at your child’s school, where you can experience more of your child’s world, and be a positive influence on other kids. Our WATCH D.O.G.S. program is one great way to do this. • Make a conscious effort to look for positives in your children’s friends—and point them out in an encouraging way.